If there’s one thing the Irish know how to do, its drink. 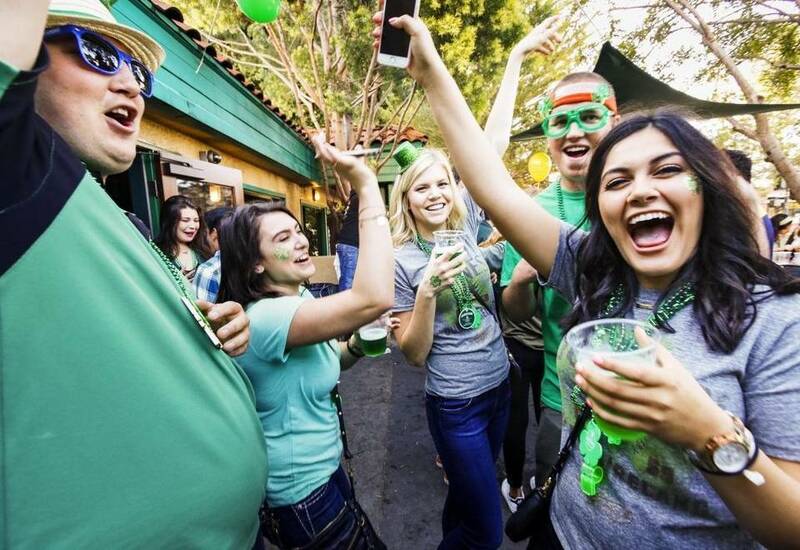 This St. Patrick’s Day, the luck of the Irish is on your side because the Central Coast is home to several beloved pubs that will show you such a good time, your friends and family will be green with envy. If you’re in a pinch and looking for some last minute ways to celebrate the Irish culture, grab a Guinness at one of these festive pubs before chasing down your pot of gold along San Luis Obispo’s stunning green hills. 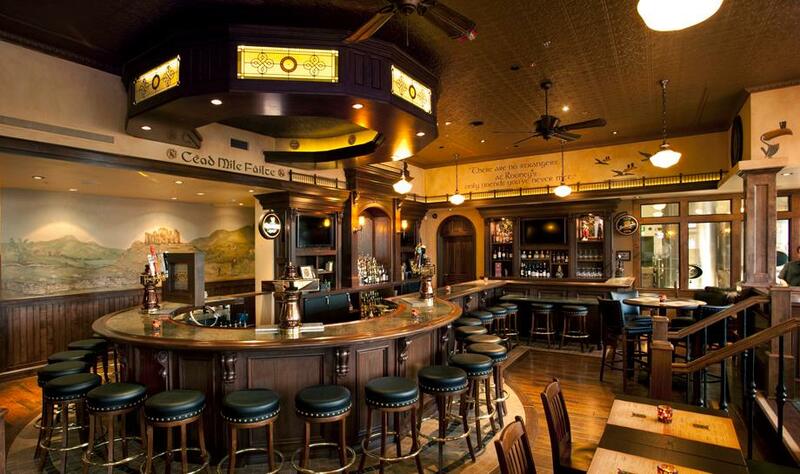 Voted “Best Pub” for nine years straight, Pappy McGregor’s in Paso Robles blends Irish traditions with American touches for a lively, fun, and busy atmosphere. Their bars are stocked with over 150 spirits, imported beer, and extensive craft beer along with locally produced wine. Pappy McGregor’s pride themselves on serving food that’s “not your typical pub grub,” featuring menu items like Scratch Chicken Pot Pie, Pretzel Fondue, or Fresh Halibut & Chips. Having opened on St. Patrick’s Day in 2006, March 17th marks an important anniversary for Pappy McGregors, which is why they open their doors at 6 a.m. to start their all-day celebration. This year, come dressed in green and ready to drink plenty of whiskey and beer as you join the Pappy’s family in celebrating their 11th anniversary. Located in Downtown San Luis Obispo, McCarthy’s Irish Pub’s St. Patricks Day celebration has become a treasured Central Coast tradition. The fun begins with a Dublin St. Patrick’s toast on Thursday evening at 5 p.m., which is midnight in Dublin since Ireland is 7 hours ahead. Arrive promptly and ready with a drink in hand to say “Slainte” to the country that provided us with this lucky day—but don’t go too hard, because the real fun happens Friday. 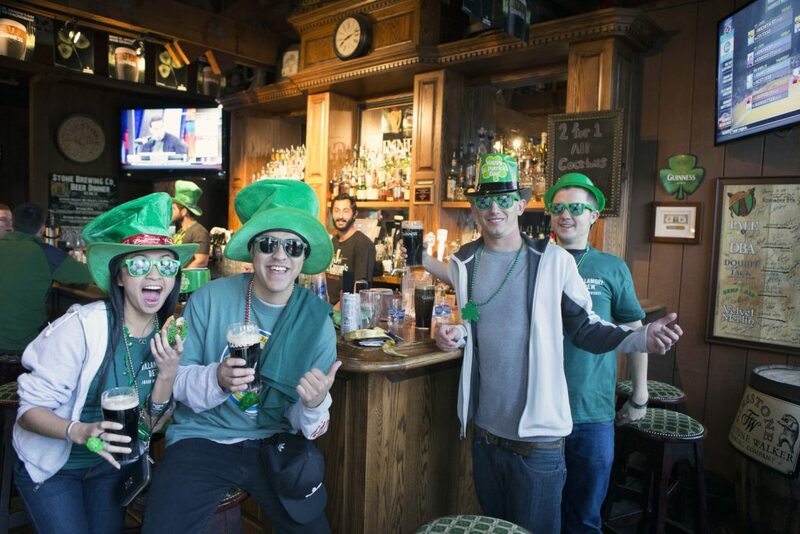 Open from 8 a.m. to 2 a.m. on St. Patricks Day, McCarthy’s is the place to celebrate St. Patricks Day in San Luis Obispo. If you’d rather indulge in a classic Irish meal than Irish whiskeys, they have that too! Enjoy a Corned Beef Pasty, Irish Crab Salad, or even Oven Roasted Potato Wedges for a real taste of Ireland. At Rooney’s Irish Pub, “there are no strangers…only friends you haven’t met,” making it the perfect place to celebrate this St. Patrick’s Day! Recognized as one of the most beautiful and authentic Irish pubs on the Central Coast, from the moment you step foot in Rooney’s you’ll be able to see how the family brought their Irish heritage to Orcutt after touring the Emerald Isle’s many Irish pubs for inspiration. Rooney’s also doubles as gastropub and brewpub! They offer gourmet pub food as well as freshly made craft beers of their own, including Amber ales, Bonds, Porters, IPA’s and more. But they also show some love to other favorite breweries, offering an extensive “cellar” list of fine craft brews. This St. Patricks Day, Rooney’s will be opening their doors at 6 a.m. with a free breakfast buffet serving Scotch Eggs and Corned Beef Hash Burritos until 8 a.m. With Shamrock Ice Luge Shots, trip giveaways to Jamaica, Cancun, Cabo, and Vegas, live bagpipes, and live music from the Gillie Wheesels Band and the Alehouse Fire Band, you’d be lucky to celebrate at Rooney’s Irish Pub.